Because every business person needs to write well at work, there are hundreds of books specifically about business writing. I have a bookshelf and Kindle full of them because I read everything I can on this subject. Many business writing books are meh, and some are good. One problem with a book specifically devoted to business writing is that business writing is comprised of different elements of general writing. A specific business writing book can be formulaic and reductive. “Use this model” doesn’t work well when the information that goes into that model changes and requires discernment. 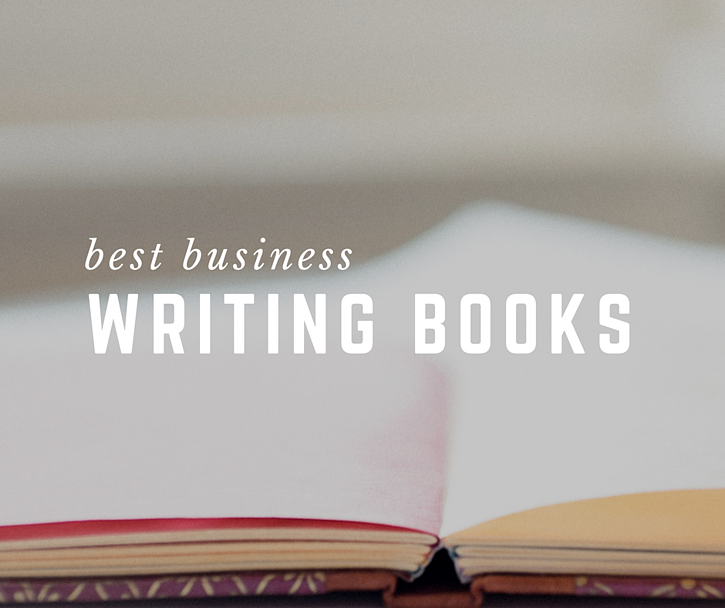 These 12 books represent the best of the various elements that comprise good business writing. I recommend these books to clients in Instructional Solutions' business writing courses. A little esoteric, but no one is better than extracting the essential core of a concept than Annie Dillard. Her advice in this book is the heart of writing an executive summary statement well. She also explores the joy and heartbreak of writing well. This book is the classic guide on effective non-fiction writing. If I had to choose only one book to read to improve business writing, it would be this one. It will help readers write better and understand how to improve what they’ve already written. Its subtitle is “The Thinking Person’s Guide to Writing in the 21st Century.” Pinker is a Harvard lecturer and a master linguist. His writing is very entertaining. He takes a “descriptivist” approach to grammar, rather than a “prescriptivist,” by advocating clear language and breaking grammar rules when needed. This book is a must read for contemporary business writers, but in business writing I recommend staying with grammar rules unless clarity requires a break. Many business readers might pounce on a grammar “error,” not realizing that breaking the convention actually improves meaning. This little book has been the bible of style for over 50 years for a good reason. Be sure to read a later version that is edited by E.B. White, also, as it’s more comprehensive than William Strunk’s first edition. Published in 2005, this book is still sadly very relevant. Business writing is drowning in jargon and meaningless buzzwords that obscure real information. It identifies four strategies to cut the bloat. Strong sentences build strong documents. This book beautifully deconstructs clear sentences. This book is a wickedly funny, no-nonsense guide. Who knew grammar and punctuation could be so funny? This best-selling book is an impassioned manifesto, complete with amusing error examples (dead sons photos may be released). Truss leans more to the prescriptivist school of grammar than the descriptivist, which matches business writing requirements. Very useful for models and overall business writing standards. The definitive style guide to use if you publish anything on the web. It is regularly updated. The 2017 version will publish in July 2017. An invaluable desk reference for grammar and usage. It has recently been expanded and covers both American and British usage. It’s especially useful for the evolution of new words and their usage. Traditionally, the Gregg Reference Manual has been the style guide of choice for business writers. It’s easy to navigate and depth of coverage is unmatched. The Associated Press Stylebook is now often a business’s standard guide, but Gregg has information not found in other guides. What books about business writing have helped you? Please share in comments! *On this page we are a participant in the Amazon Services LLC Associates Program, an affiliate advertising program designed to provide a means for us to earn fees by linking to Amazon.com and affiliated sites.